What is Invisalign? Is Invisalign right for you? Your first visit will consist of an exam and a discussion of all possible treatment options available to you or your child. Find information on everything from patient success stories and your first visit, to financial considerations, and the necessary forms to fill out. Many patients have questions about their braces and orthodontic treatment. Here, you will find answers to several of the most common patient questions. What’s the difference between an orthodontist and dentist? How old do I need to be to get braces? "Great dentist for children! Great atmosphere, great staff, and everyone is very friendly. 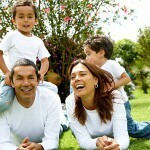 Dr. Mendivil is great with my kids, he explains everything that he is doing so they feel safe and comfortable. Parents are able to stay in the room with your child to watch what is going on and ask any questions." "Extremely friendly staff. We just moved to CA and our kids were nervous about seeing a new dentist. They were put at ease immediately and their visits went so smoothly. Thank you so much for providing such wonderful care to my children." "Eric and Sandy LOVE Dr. Mendivil and team. On the way to our last cleaning appointment they asked me to please drive faster so we could arrive sooner - that's what I call DENTIST LOVE! :) Thanks to the team there who makes dental visits fun for kids." It is a pleasure to welcome you to the orthodontic practices of Dr. 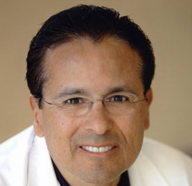 Guy W. Mendivil, who has been creating beautiful smiles in Southern California for over 28 years! We all know that our smile is the first thing people notice about us. 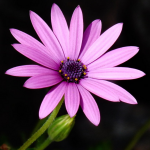 Having an attractive smile enhances self-esteem and builds self-confidence. We are dedicated to giving each patient a smile that they are proud of! Here, you will find a uniquely warm and inviting environment for adults, teens and children. We pride ourselves on providing our patients and their families with with an extraordinary level of care and service. Exceptional care from a board certified orthodontist whose knowledge, experience, and warmth truly sets him apart from others. A highly trained, courteous and professional orthodontic team that are passionate about what they do — creating healthy and beautiful smiles! One of Southern California’s most comprehensive orthodontic offices, utilizing only the highest quality appliances and the latest technology to create your perfect smile. We are dedicated to giving each patient a smile that they are proud of! We pride ourselves on providing our patients and their families with with an extraordinary level of care and service.